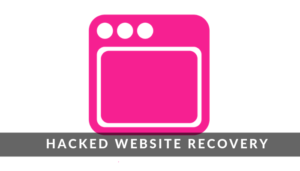 Instant Hacked Website Recovery : Call 0776 260 360 now! If your website got hacked and you lost ranking of many keywords and phrases because of that, you have come to the right place. A hacked website can affect your business reputation especially if you process customer payments on the website. Also, it might seem to your potential clients that you do not take your business security seriously. If your HTML website or WordPress website has been hacked, no need to press the panic button, if you are reading this website page you are in the right place and on the right course. We will get your website back online in no time! The hacker may have hijacked your pages and implemented Cross-site scripting (XSS) into your pages. There is a lot of technological advancement in our age. That means a lot of e-commerce websites are being created and most people are now finding convenience in shopping online. Unfortunately, with technological advancement come data crime, hacking and credit card fraud. Intruders will steal private and sensitive information from your website. Therefore, it’s important that you ensure your website is safe and secure in Zimbabwe. In fact, you should implement web security processes. Our experts are familiar with the methods used by hackers to abuse businesses’ information and data. If you’re worried about the reputation of your business, we will provide you with a quick and quality fix in Zimbabwe. We will diagnose the problem and have it fixed within 48 hours. We will make sure that we get you back your website online with lost URLs. Furthermore, if you need to rank your keyword, well make it happen. You will be required to brief us on what happened to your website. Next, you will be required to provide us with your FTP username and passwords, as well as Cpanel username and password. If you like, you can give us your PHPMYAdmin access, although this is optional. Most importantly, we will need the main keyword that you need to rank in Google. Can you help me get my hacked website back online in Zimbabwe? Yes, we can clean your hacked website today! Why not give us a call on +263 776 260 360 or email us to discuss your hacked website cleaning project whether you are in Harare or anywhere in Zimbabwe. Get a free no obligation estimate or contact us to discuss your exact requirements. We appreciate that your business is unique in its own right. Therefore, we will develop a personalised website cleaning plan and approach for you. Kindly fill the form below and we will reply you urgently with a custom pricing quotation. We are open from Monday to Friday 8 am to 5 pm.